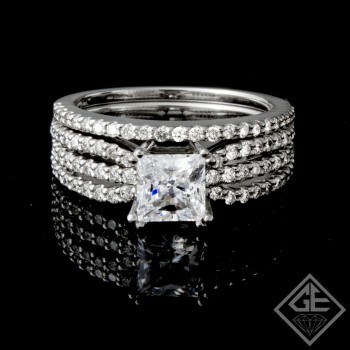 Ladies Diamond Matching Wedding Band with 0.39 carat Round Brilliant cut side diamonds. 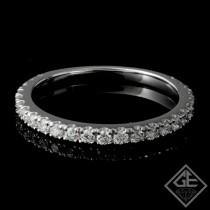 Ladies Diamond Matching Wedding Band with 0.44 carat Round Brilliant cut side diamonds. Ladies Diamond Matching Wedding Band with 0.26 carat Round Brilliant cut side diamonds. Ladies Diamond Matching Wedding Band with 0.42 carat Round Brilliant cut side diamonds.